Supervisors: Dr Astley Hastings and Professor John D Nelson, The University of Aberdeen. 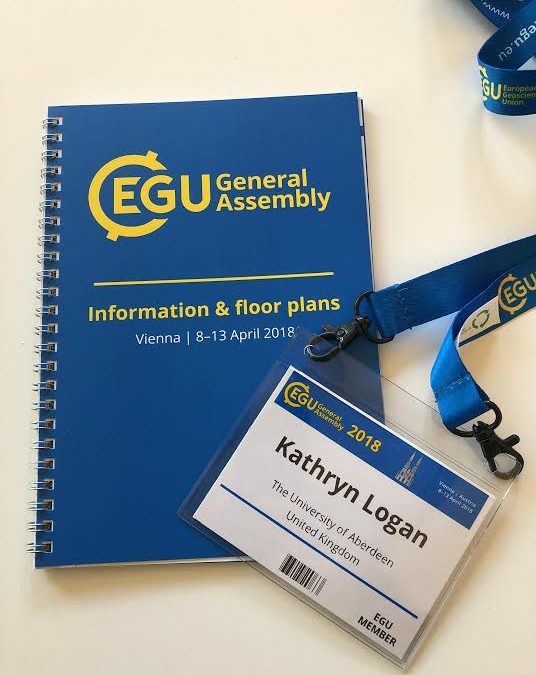 Thanks to the generosity of the International Research School of Applied Ecology (IRSAE), I was able to present my research (11th of April) at the European Geosciences Union (EGU) General Assembly in the form of an oral presentation. This year the event took place between the 8th and 13th of April in Vienna, Austria. The grant I received from IRSAE was used to pay for my abstract submission and the entry fee for this conference. The conference included a wide range of research areas including volcanology, planetary exploration, the Earth’s internal structure and atmosphere, climate, as well as energy and resources. In previous years, there has been as many as 14,000 participants from over 100 countries with 17,000 difference presentations. 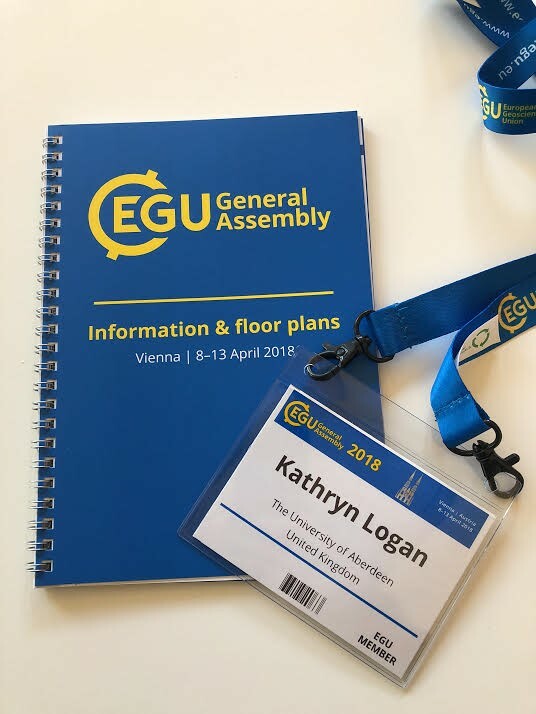 EGU is the largest geosciences conference in Europe so I was very excited to have been selected to participate in such a large and multi-disciplinary conference. The conference ran from 8:30am until 7pm and days were filled with talks, poster presentations, short 2-minute PICO presentations and networking breaks. There was also the opportunity to attend short courses to help early career researchers after their PhD, for example courses on how to write funding and grant proposal applications, life outside academia and how to better use statistical modelling in your research. This year I was selected to give an oral presentation, which involved a 12-minute talk followed by three minutes of questions. My presentation was within the session entitled: Urban sustainable development: resilience to environmental problems and natural hazards through eco-engineering solutions. My presentation was highlighted by the conveners as the talk of ‘special interest’ to the media for the session. 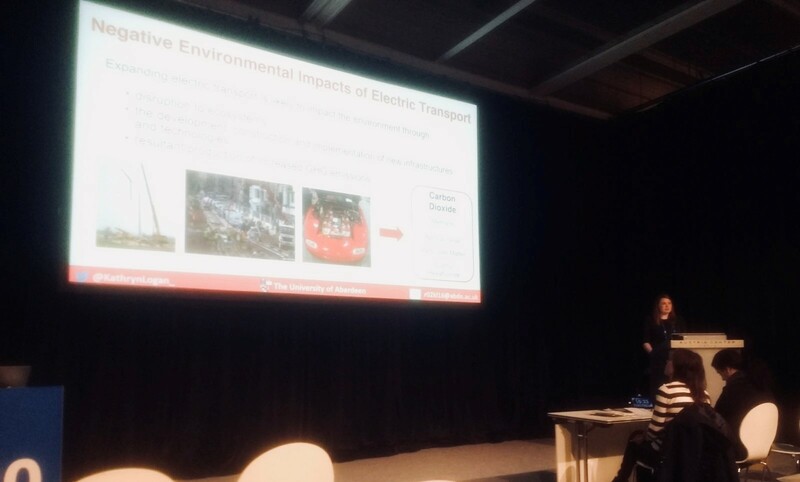 My presentation title was: The environmental impacts of replacing conventionally fuelled vehicles with electric vehicles in Scotland: a university case study. My oral explored the production and impacts of carbon dioxide when replacing conventionally fulled vehicles with electric transport and this resultant effect on ecosystem services within the UK. This was the first opportunity I have been given to give an oral presentation at a conference. I had an audience of around 70 people and was asked several questions that I was able to answer. Through this experience I was able to learn and pick up tips on how to improve my presentations for the future. This has really driven me to discuss my research with other individuals and I hope to give other oral presentations at future conferences. Throughout the week I was able to attend poster sessions, workshops and talks within the ecosystem services theme in order to discuss my worth with other individuals with similar interests. This opportunity to network with other researchers allowed me to make connections which will hopefully help contribute towards my PhD. This opportunity provided me with insight within the academic field and the short courses on life after academia were really helpful in helping me think about my future. If given the opportunity, I would definitely recommend attending this conference next year as I believe it was such a great chance to network and meet new people within your field!